Bremen – Bayer 04 Leverkusen have lost on their last two visits to SV Werder Bremen, a sorry streak Roger Schmidt's men will be keen to end on Saturday (kick-off 15:30CEST/13:30GMT). 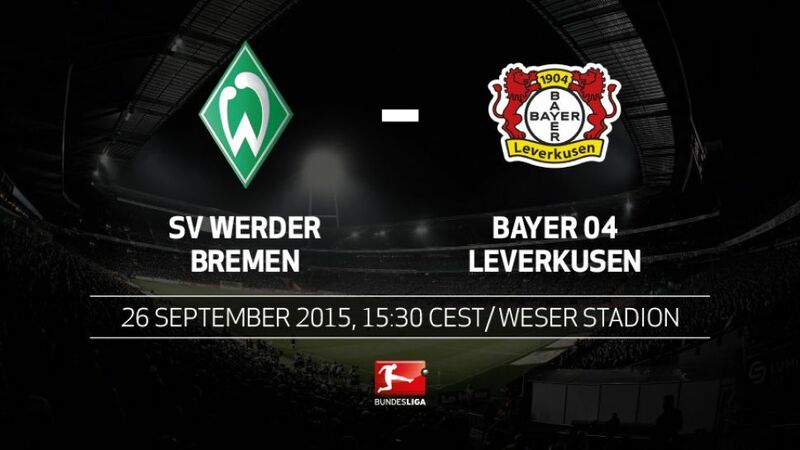 Bremen have won just two of their last 14 games against Leverkusen, though both of those victories came in the northerners' last two home fixtures against Die Werkself.Bremen have not finished ahead of Leverkusen in the table since they ended the 2009/10 campaign third with their Matchday 7 opponents fourth.Since, Bremen's best finish is ninth while Leverkusen have qualified for European competition every season.Christoph Kramer has not scored a Bundesliga goal in 2015. His last goal came against Bremen on 17 December, 2014.The match sees two of the Bundesliga's best free-kick exponents face off: Bremen's Zlatko Junuzovic and Leverkusen's Hakan Calhanoglu.